Successive UK governments have pursued ambitious programmes of private sector competition in public services that they promise will deliver cheaper, higher quality services, but not at the expense of public sector workers. The public procurement rules (most significantly Directive 2004/18/EC) often provide the legal framework within which the Government must deliver on its promises. 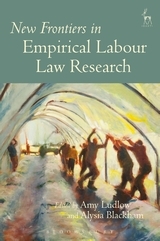 This book goes behind the operation of these rules and explores their interaction with the Transfer of Undertakings (Protection of Employment) Regulations 2006 (TUPE); regulations that were intended to offer workers protection when their employer is restructuring his business. The practical effectiveness of both sources of regulation is critiqued from a social protection perspective by reference to empirical findings from a case study of the competitive tendering exercise for management of HMP Birmingham that was held by the National Offender Management Service (NOMS) between 2009 and 2011. Overall, the book challenges the Government's portrayal of competition policies as self-evident sources of improvement for public services. It highlights the damage that can be caused by competitive processes to social capital and the organisational, cultural and employment strengths of public services. 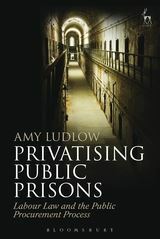 Its main conclusions are that prison privatisation processes are driven by procedure rather than aims and outcomes and that the complexity of the public procurement rules, coupled with inadequate commissioning expertise and organisational planning, can result in the production of contracts that lack aspiration and are insufficiently focused upon improvement or social sustainability. In sum, the book casts doubt upon the desirability and suitability of using competition as a policy mechanism to improve public services. 5. The Public Procurement Rules: Creating a Socially Sustainable Regulatory Framework for Public Service Competition?